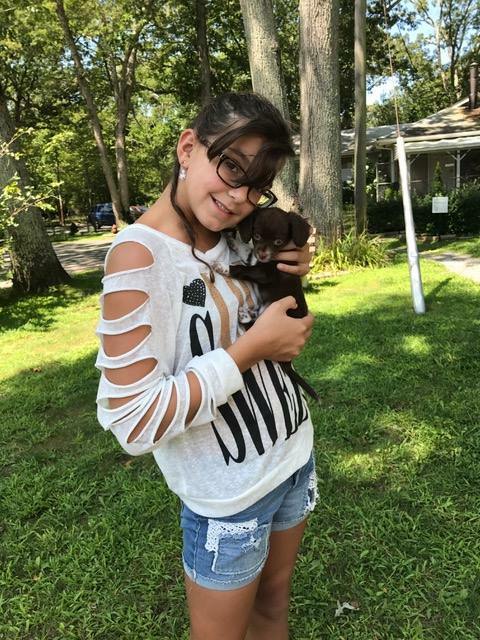 Trinity Columbel is a 9-year-old girl from our community who decided to do something extra special on her 9th birthday, this year. 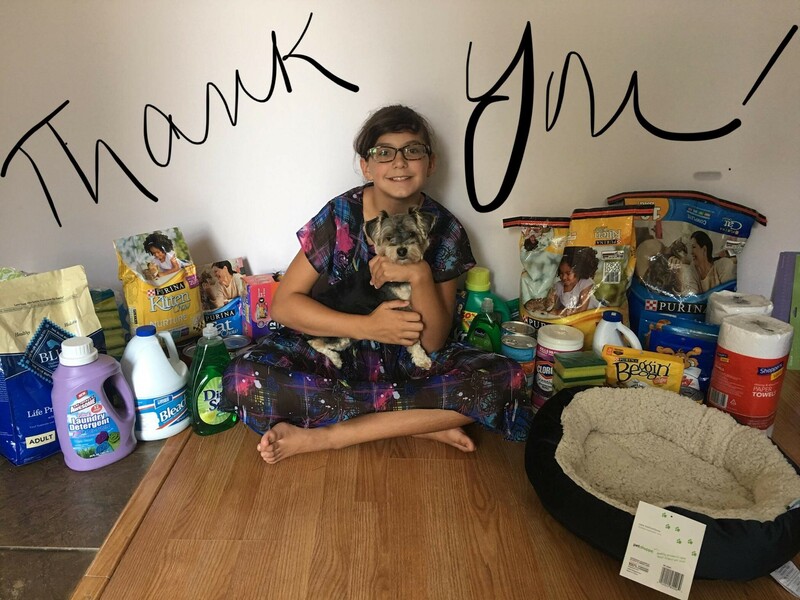 She decided for her birthday this year to have her friends and family give her donations so she can donate those items to a local animal shelter. Trinity has a huge heart and we want to recognize her efforts to make a difference in our community along with her parents. 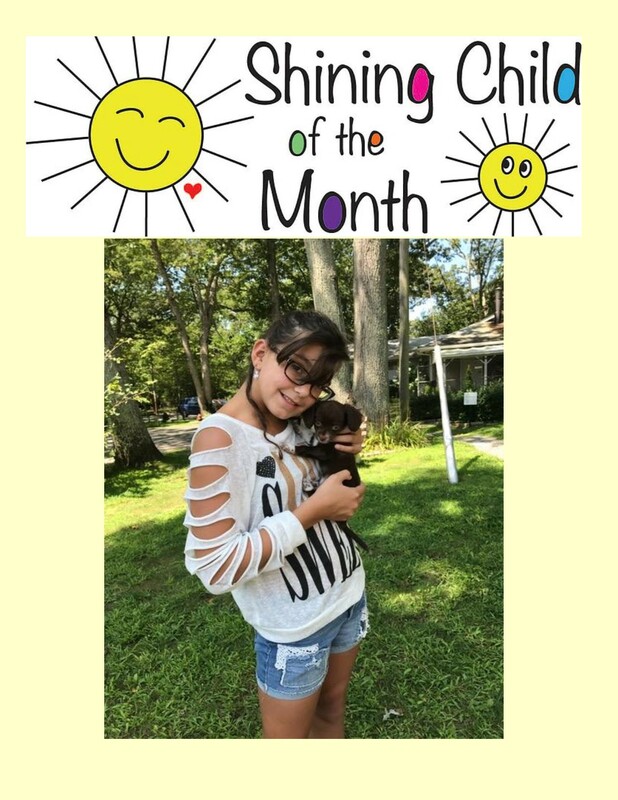 Her desire to help the Kent Animal Shelter in Calverton has made her our Shining Child of the month. 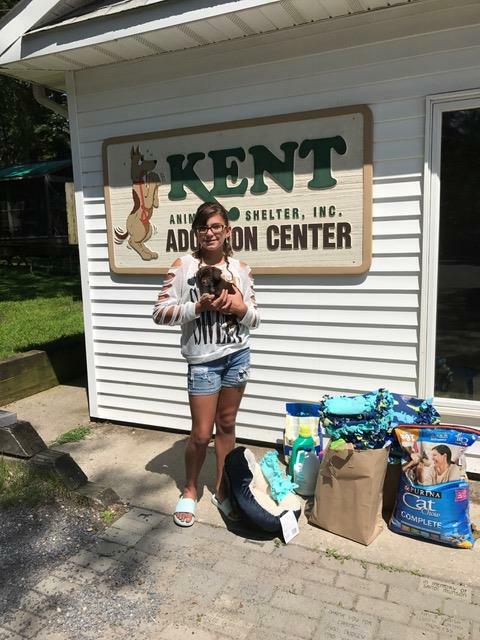 Keri & Frank Columbel told us, “Trinity decided for her 9th birthday party that she would ask all of her guests for donations to Kent animal shelter instead of gifts. When quests began to ask what they should get her she told me that she didn’t need anything and there is always a chance to get presents. So she said she would give up her presents to help the animals. I was so moved and nervous , was she sure she didn’t want anything ? Did she realize what she was saying? I didn’t say that out loud I just told her how awesome she was to think of others. 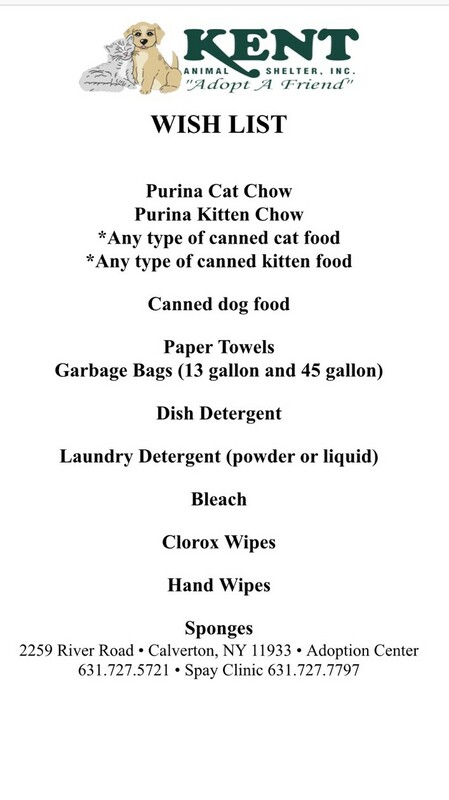 She kept with it and we sent out her invitations and asked the guests for donations and gave them a list of Kent’s most needed items. She did amazing and her guests really came through . When we brought everything to the shelter two people had to make three trips to bring in all of the donations including 10 blankets she hand tied herself. Thank you so much Trinity for making a difference in our community. You are inspiring others to make a difference, as well.